I have heard it time and again - choosing a photographer is one of the absolute hardest parts of planning a wedding. 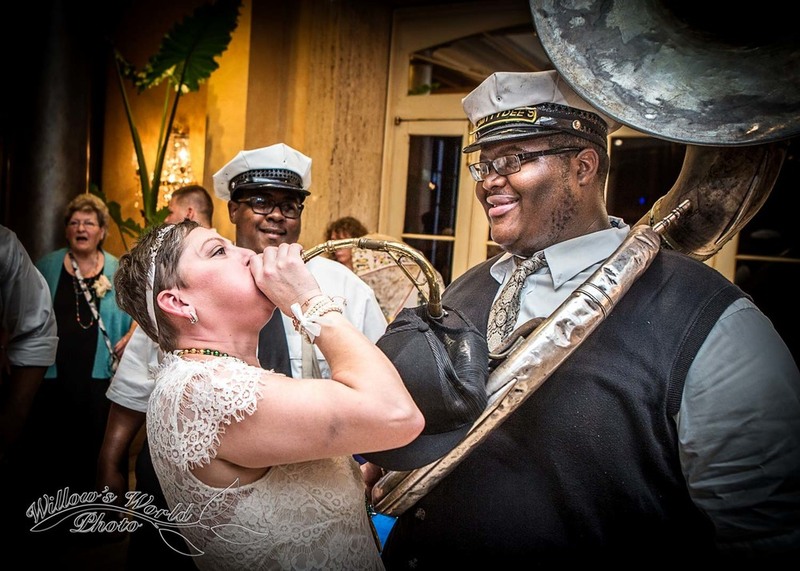 There are easily hundreds of wedding photographers in the New Orleans area, and after awhile, our websites just start to kind of blend together into one big, seething mass of smiling brides, second lines, and artistically composed ring and flower shots. To complicate matters even further, the majority of the couples I meet haven't done this before. Many of them have never had to hire a photographer at all, let alone choose someone to trust with one of the most important days of their lives. ...It can all get a little overwhelming. 2. Narrow your selection to photographers whose work meets your established criteria - then look closely at each website. Do you see the same people over and over again? Are all of the weddings displayed shot under similar conditions? Do you see the same exact pose consistently repeated through a series of different clients? Regardless of overall photo quality, these are the kind of details that say a lot about the experience and versatility of a photographer. 3. Ask yourself: on a truly personal level, can you consistently relate to a photographer's images? Since we're only going to showcase our best photos, our websites won't really give you a true idea of how consistently we provide quality work. Evaluating an entire wedding day provides a much better idea of a photographer’s overall quality. 4. If you have already chosen your venue, ask your photographer to share a “complete wedding” shot in a venue that is similar to yours. It doesn’t have to be exactly the same, but images from a beautiful beach wedding won’t tell you much if you’re getting married in a dark courtyard at night. Different situations often require vastly different equipment and skillsets - it's important to be sure that your photographer knows how to handle the details of your specific wedding. Obviously, there's a lot that goes into choosing a wedding photographer, and I'll be talking about it quite a bit in future posts. In the meantime, just remember that you don't have to be a photography expert to know what you like, and ultimately, that's going to be what counts. Know what you want, and you'll find what you need. Love it? Hate it? Would rather I just posted some pics of my adorable (yet crazy) cats? Let me know in the comments!